Dementia is an issue that affects our whole community. We need your help to make it a political priority. Dementia is Ireland’s hidden health crisis with nearly 55,000 people living with dementia. Every year another 4,000 people are diagnosed – that’s 11 people every day. There are 50,000 carers of people with dementia – even more when you include wider family and social networks. 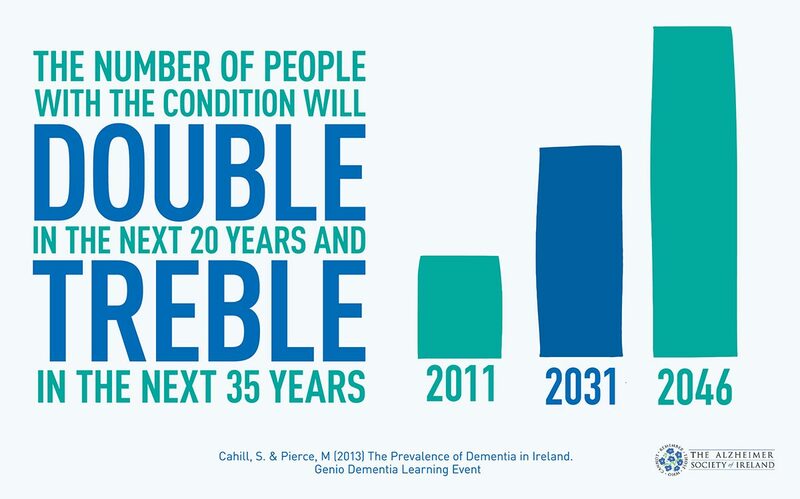 By 2041, the number of people living with dementia in Ireland will have increased to over 132,000. Join us to campaign for better services and supports for people with dementia and their families.